Rae Sremmurd has recently announced that they will be hosting their first annual Sremmfest. This will go down December 18th through the 20th in their hometown of Tupelo, Mississippi. Festivities will include celebrity basketball game, BBQ, and concert with appearances from themselves along with Yo Gotti, K Camp, DeJ Loaf, Two-9, Mike WiLL Made-it, and more. 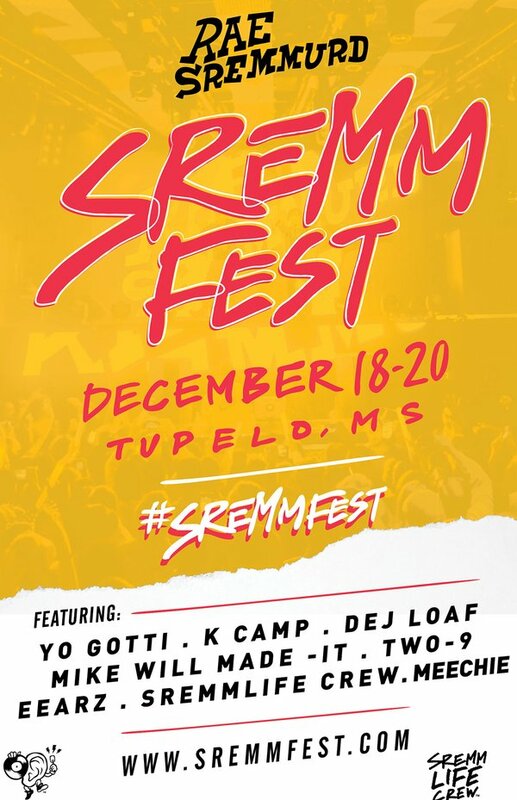 Purchase tickets for Sremmfest here and peep the flyer below.